We all have experienced bad hair service and terrible haircuts in our lifetime. We have no other recourse but to grow our hair back and live with it or if necessary, look for a reputable stylist to fix our crowning glory. Good hairstylists not only have the skills for creating good hair, they also have the necessary equipment for their trade. They invest in good quality beauty salon products in order to have better control of the hair and give the best finished look for their clients. 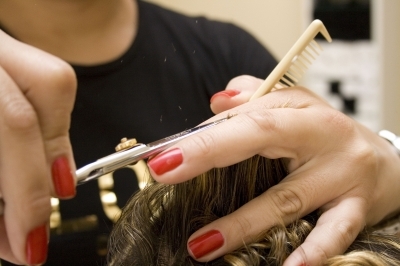 These hairstylists may not always be affordable but spending on their quality service may actually save you from a lot of embarrassment and money for additional fix-ups. 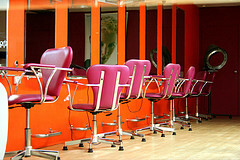 The chairs are the most obvious equipment we see when we enter a beauty salon. Products like these come in all shapes and designs but the most common ones have plastic or wooden armrests and foot rests made of aluminum. The chairs’ upholstery has a variety of colors and is made of stain-resistant synthetic material for easy cleaning. It also has padded seat to add comfort to the customer and swivels up to 360 degrees to conveniently aid the hairdresser in moving the client in any direction while styling their hair. To adjust the height, these chairs are fitted with hydraulic pumps at the base and sometimes have gas piston mechanisms for reclining the backrest. Prices for these products could fetch anywhere from $ 150- $700 depending on the type and brand. When shopping for chairs, compare prices from local shops and websites specifically catered to beauty salons. Products from these sources will give you a better value for your money. Obviously scissors are an integral part of the hairdresser’s life and a staple in every beauty salon. Products for haircutting abound for multiple features and purposes. Each scissor has a different type of blade, handle and thumb grip. 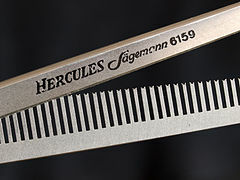 The standard shears are the left-handed, thinning, tempered and styling types with a few modifications per manufacturer. The Japanese companies Katana and Hikari have reduced scissor- making into an art and science by adjusting some features for more control and precision when styling different types of hair. Other notable brands are Foxy, Tiger, Akkohs, Sasaki and Centric. The Japanese shears are pricier, retailing from $400-$600 on the average due to their craftsmanship and longevity. Quality European and American brands go for about $200 on the average. Hair coloring, hair relaxing and hair rebonding are just some of the services people pay for to maintain their hairs’ health and beauty. Salon products and services for hair care are becoming more popular nowadays due to the daily stress our hair experiences either from too much styling or very low maintenance. Pollution and poor nutrition also contribute to the hair’s demise making it lifeless and frizzy. The hair treatment products not only revitalize the hair, it also helps it from further damage. Organic beauty salon products should also be available to accommodate clients that are into the natural process of beautifying themselves. A good hairstylist does not just go with the trend, they also do their own research on how they can introduce better hair treatment for their clients and find ways to source the necessary product. 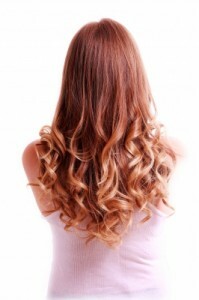 After every hair treatment, hair is usually placed under a hood dryer for deep conditioning for about 45 minutes. This beauty salon product helps in gradually opening up the hair cuticles for the chemicals to effectively seep into the hair strands. Hood or dome hairdryers does a great job in setting wet hair compared to hand held dryers as the hairstrands are not blown into different directions during the drying process. It also helps avoid breakage and excessive damage since the hair ends are usually inserted and rolled back under hair protecting them from the heat. 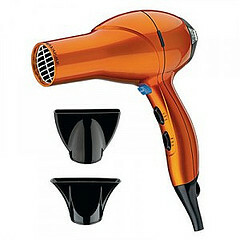 Handheld blow dryers are good too, but the hair’s bounce and fullness is short-lived compared to the hood dryers. They are also convenient for busy people who do not have the time to go to a beauty salon. Products like Super Solano and T3 Bespoke Featherweight and Bio Ionic are heralded by professional hairstylist to be effective in straightening even the toughest hair. This entry was posted in Beauty Treatments and tagged beauty salon products, equipments, hair care, hair color, hairstyle, hairstylist on July 28, 2011 by tina.